Langley's north face is one of the Southern Sierra's great untapped assets. 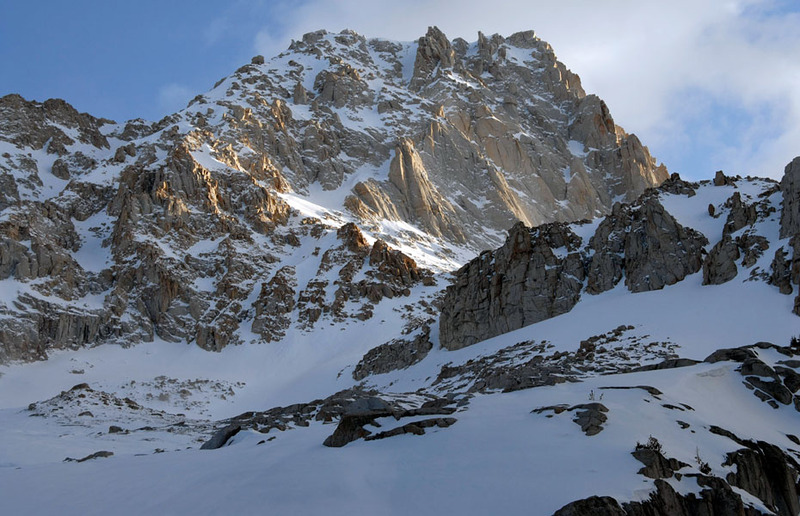 Climbers flock to nearby Mount Whitney without so much as a glance at poor Langley, but skiers, at least, tend to visit now and then to try their luck in the mountain's Northeast Couloir. Mount Langley, California.